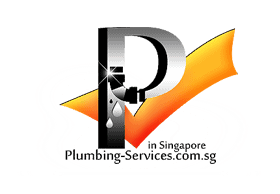 Plumbing is a very essential aspect of any commercial or residential building. It is a task that has to be done to perfection. Unfortunately, plumbing problems can occur any time of the day or night whether you used quality materials or hired a reliable plumber to make installations. There are two main categories of plumbing works that you may need to be completed on your property. This is a plumbing service that mainly deals with installation, replacement, repair, and maintenance of taps and pipes meant for your water supply system. On the other hand, the main focus of this plumbing service is the installation, repair, relocating, maintenance and replacement of sanitary discharge appliances and pipes so as to carry all use water way. Commercial and residential buildings have varied plumbing needs. The list below combines some of the basic plumbing requirements of most buildings. Your needs will vary and different plumbers provide the below and other services at different rates. It is clear that the plumber you choose to work with will directly impact on the quality of service you receive and the duration needed to have the task completed. Just remember that you have to do a detailed research and always avoid trying to solving these plumbing problems yourself. Hiring a professional has many benefits. . As you make your choice, use the tips below as a guideline so you don’t make mistakes. Always ensure that the plumber you hire is well trained in your area of need and is legally licensed by the right body. The company owner may be trained, but what about the other staff members that will directly work on your project? It’s important to ascertain that all those working on your project have the right knowledge and expertise about the task at hand. This ensures that you only work with a provider that will stick to the state rules and regulations and will complete your task from a point of knowledge. It’s known that experience is the best teacher. The more experienced the provider is, the better it is for you. Plumbing tasks are so involving and different companies have varied level of specialization in handling them. A provider that has solved several problems similar to yours can detect and correct all your plumbing needs fast and offer a reliable guarantee on these services. There is no other way out. Choose a provider that not only uses up to date technology but also the right tools and equipment to complete the task. Remember that getting the wrong diagnosis just because the plumber doesn’t use up to date tools and equipment can be so disastrous. You may have to spend more to get a perfect job redone on your property. Ascertaining the reliability of the plumbers tools and equipment will ensure that the jobs are executed in a more reliable and efficient manner. Economic times are getting tougher and any plumber that tries to exploit you should be avoided. Get written quotes from various reliable plumbers and make a comparison. Choose a plumber that doesn’t have any hidden costs and whose estimate cost falls within your budget. You do not have to run in debt because of unrevealed costs. 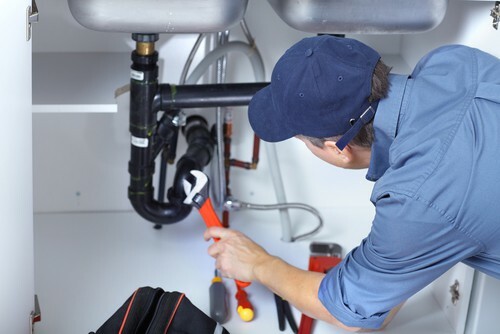 It’s important to note that different plumbers provide varied guarantees and warranties for their services and on the replacement or installation parts used. Relying on the price quote alone may be misguiding. A plumber may be slightly expensive but is offering a longer guarantee and warranty on the service provided and parts used. In the end, this would be a better choice for you. A reliable and durable plumbing system will provide you peace of mind. No one wants constant plumbing interruption just because the cheap plumber you use uses poor quality parts and does a shoddy job. This is where the provider refers you to projects that they have success completed. Make a detailed follow-up to ascertain that indeed, this plumber completed the work. The more successful referrals you get from this plumber the higher the chances are that they will deliver quality services and vice versa. If a friend or family member referred you to this plumber, then their testimony about the services they received should matter a lot. In addition, you can check many reliable online customer reviews before making your decision. Check how this provider responded to any complaints about their services. All these will help you choose a plumber that has your interests at heart and has a history of solving customer needs to the later. Accidents do occur. 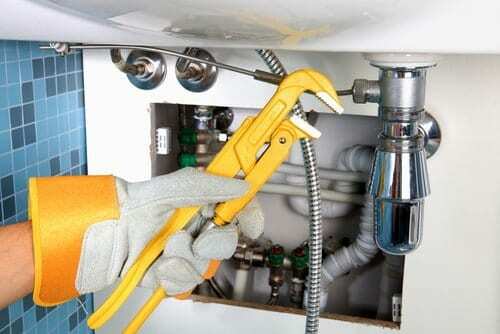 Your plumber’s tools may injure you or your loved one or the plumber may break your window or cause other damages to your property in the process of completing their plumbing job. It is only a reliable insurance that can bail you out of this situation. Only hire insured plumbers to guarantee both your safety and their safety. Good communication skills are paramount irrespective of the task you are handling. You must ensure that your communication with your target plumber is good from the word go. Their first impression should also be good. These two will enhance a good working relationship that guarantees reliable results. Whether you need the services of a general plumber, an emergency plumber, or any other specialized plumber, it’s important to consider all of the above tips. A professional can provide reliable advice about plumbing; they can help solve difficult problems in just a single visit and will provide you with a reliable service. It is more convenient to hire an expert than try fixing the problems yourself.